Last minute tweaks and bug fixes. 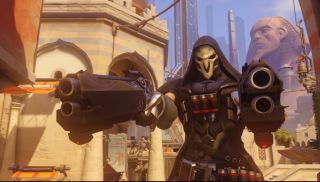 After a series of closed betas, Blizzard is getting ready to release Overwatch to Windows PCs (and Xbox One and PlayStation 4 consoles) tomorrow. In anticipation of Overwatch's debut, Nvidia has released a new set of Game Ready drivers (368.22 WHQL), which are available to download. "Prior to a new title launching, our driver team works up until the last minute to ensure every performance tweak and bug fix possible makes it into the Game Ready driver. As a result, you can be sure you’ll have the best day-one gaming experience for your favorite new titles," Nvidia states in its release notes (PDF). Sega's turn-based strategy title Total War: Warhammer also comes out tomorrow, but Nvidia makes no mention of any optimizations specific to that title; that's not surprising considering it's an AMD Evolved game. Nevertheless, we asked Nvidia about it and were told "performance shouldn't change" with the new drivers. We've tested it ourselves and saw virtually no change in framerates compared to the GTX 1080's 368.16 launch drivers. While there aren't any optimizations for Total War: Warhammer, Nvidia did add some tweaks for some popular freemium titles, World of Tanks and War Thunder. Otherwise, there's not much going on in this release—no additional SLI or 3D Vision profiles. It's also light on bug fixes. Nothing's changed in Windows Vista through Windows 8.1, though on Windows 10, Nvidia's latest drivers address a stuttering issue after 20-30 minutes of play in Tom Clancy's The Division. You can grab the latest drivers here.